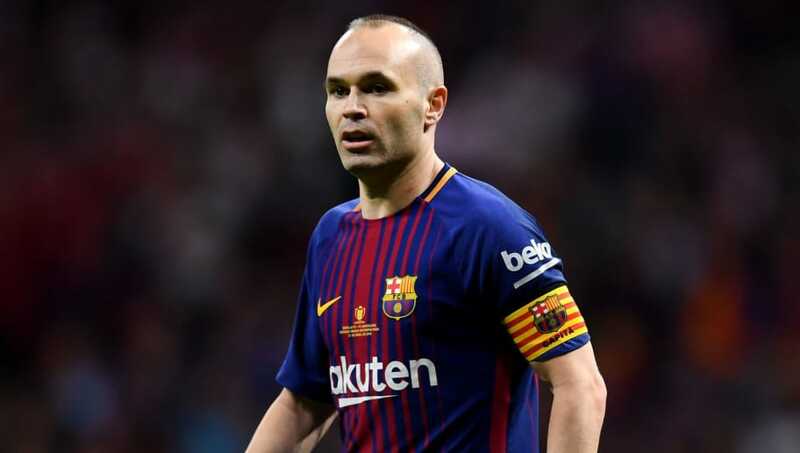 Barcelona have a tradition of home grown captains, with current skipper Andres Iniesta the third consecutive club captain at Camp Nou to have come through the youth ranks. It extends back to 2004 and will likely continue following Iniesta's expected departure this summer, with Lionel Messi next in line to keep it going. Home grown captains make football special and help to retain an element of identity in an ever more globalised game. Fernando Torres was only a teenager when he was named Atletico Madrid captain during his first spell with the club 15 years ago, having risen through the ranks to become a local talisman upon the club's return to La Liga from a spell in the second tier. The striker would eventually leave Atletico in 2007 for a rollercoaster of a career with Liverpool, Chelsea and AC Milan. He then returned to Madrid in 2014, initially on loan, although he hasn't been been reinstated as skipper. A 17-year-old Mark Noble helped West Ham earn promotion from the Championship back to the Premier League in 2004/05 after breaking into the first team during the campaign. And by 2007, the young east Londoner had established himself as a regular. 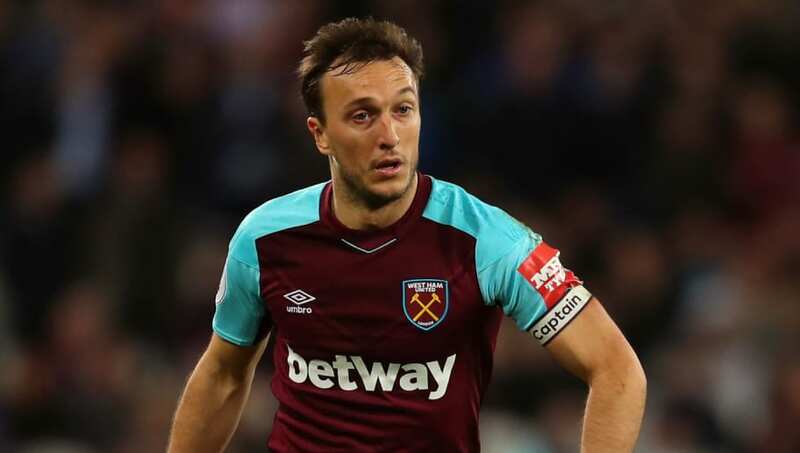 Upon taking over the role from Kevin Nolan, Noble had the honour of captaining the Hammers in their final season at Upton Park and has now worn the armband for three seasons. Still only 30 years of age, he will likely surpass 450 West Ham appearances next season. 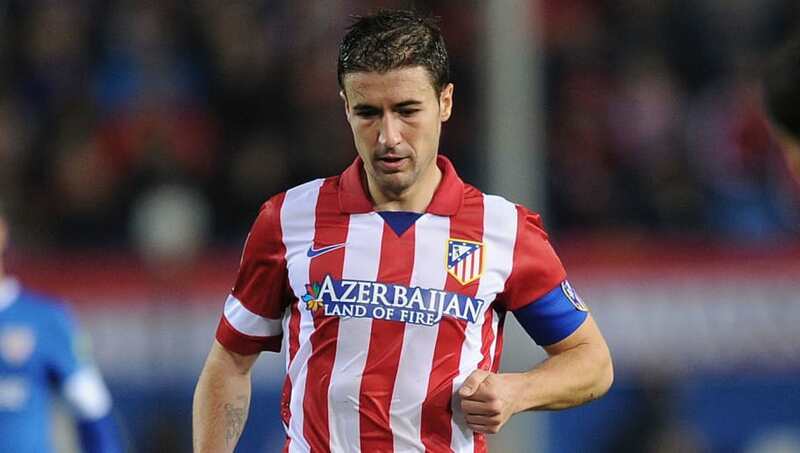 Madrid-born Gabi rose through the Atletico youth ranks and made his senior debut for the club at the age of 20 in 2004. But after just a couple of seasons, the combative midfielder actually left his boyhood team to join Real Zaragoza instead. After four seasons away, Gabi returned in the summer of 2011 and was soon made captain. He lifted the Europa League trophy at the end of his first year back and later got his hands on the Copa del Rey, La Liga, the UEFA Super Cup and Spanish Super Cup. 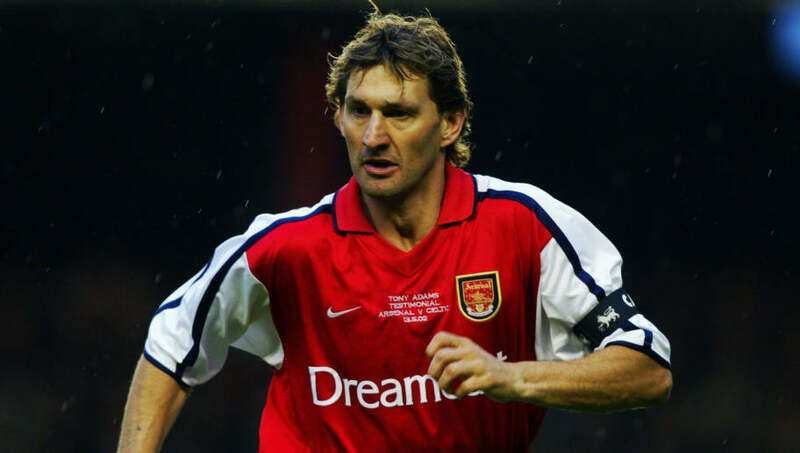 Originally hailing from Romford in east London, Tony Adams joined Arsenal as a schoolboy at the age of 14 in 1980 and had made his debut for the first team by the age of 17. Remarkably, he was made club captain at the age of just 21 in 1988. In 14 long years as Gunners skipper, the defender won four league titles, three FA Cups and the UEFA Cup Winners' Cup, before retiring in 2002. Impressively, he captained league title winning sides in three separate decades: the 1980s, 1990s and 2000s. After serving as one of Barcelona's numerous understudy captains from as early as 2008, Andres Iniesta finally took over the armband in 2015. Immediately, his reign continued the club's success as the season finished with La Liga glory. 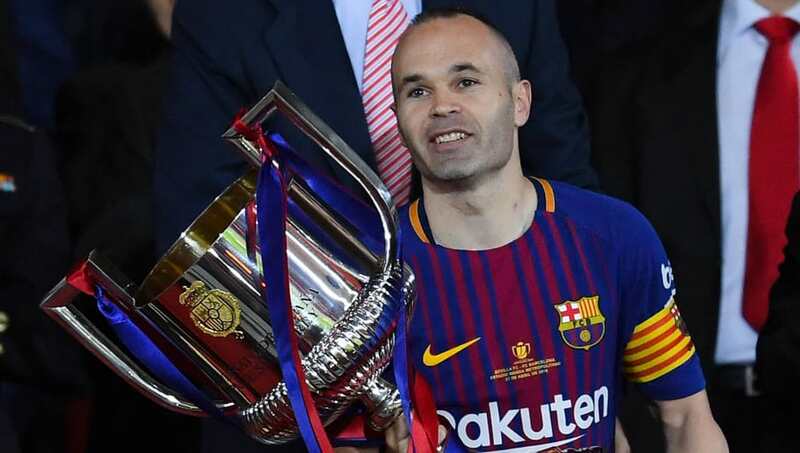 This season, Iniesta has lifted the Copa del Rey and looks set to add another La Liga title to his collection. However, despite recently signing a new 'contract for life', it looks likely to be his last at Camp Nou as a potential move to China beckons. Gary Neville was named Manchester United's new club captain in 2006 shortly after Roy Keane's sudden exit from the club towards the end of the previous year. Unfortunately for the determined defender, much of his time in the role was spent injured. 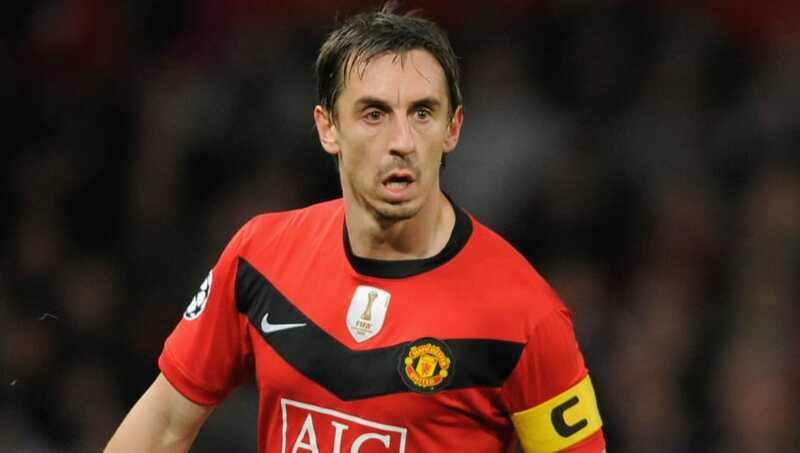 Having played close to 500 games for United prior to 2006, Neville managed barely more than 100 in his five years as skipper as a result of injury and age. He was ruled out of most of the club's successful 2007/08 campaign, but played a meaningful role in 2008/09 and 2009/10. 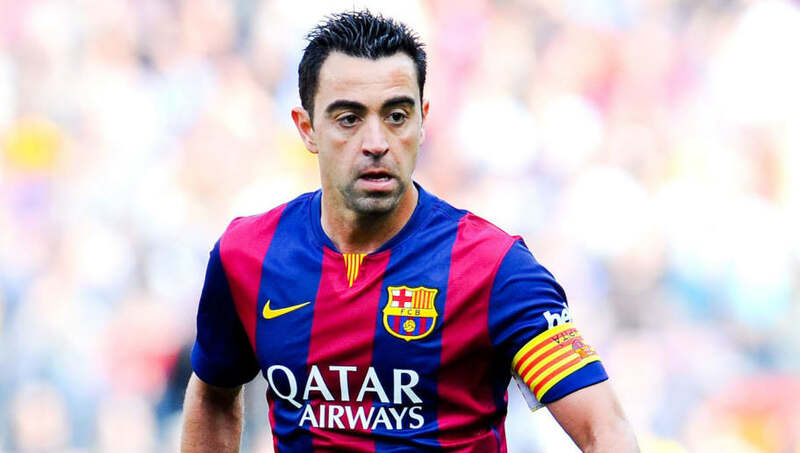 Xavi was Barcelona captain for just a single season in 2014/15 before he left the club to wind down his career in Qatar, but it was an incredible campaign that resulted in Bara completing the second historic treble in their history. He only started half of the games in La Liga that season and was a substitute in both the Copa del Rey and Champions League finals, but it was the perfect way to bring down the curtain on an incredible career with his boyhood club. 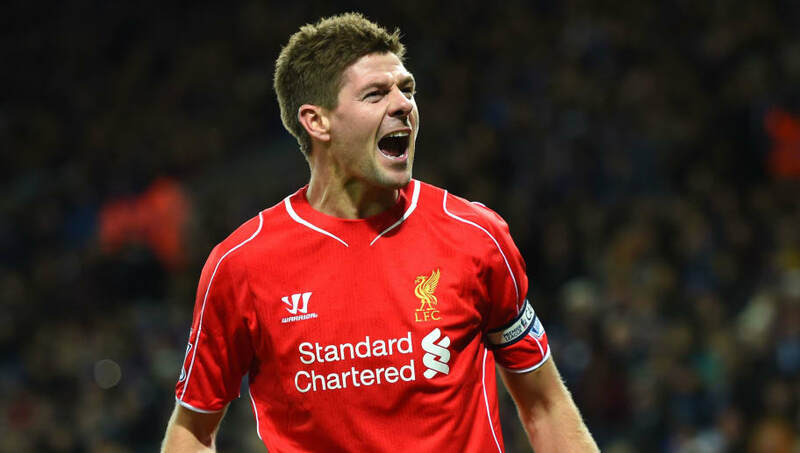 Steven Gerrard spent 12 long years as Liverpool captain from succeeding Sami Hyypia in the role at the age of 23 to leaving his boyhood club in the summer of 2015 to spend his final 18 months as a professional with LA Galaxy in Major League Soccer. Gerrard steered Liverpool towards their greatest modern triumph in 2005 when his inspirational performance was central to winning the Champions League. His incredible late goal in the FA Cup final a year later also pushed the Reds to victory. Having been courted by Manchester United as a youngster, John Terry joined Chelsea at the age of 15 and was eventually captaining his club by the time he was 23, taking over from retiring World Cup winning veteran as Stamford Bridge skipper. 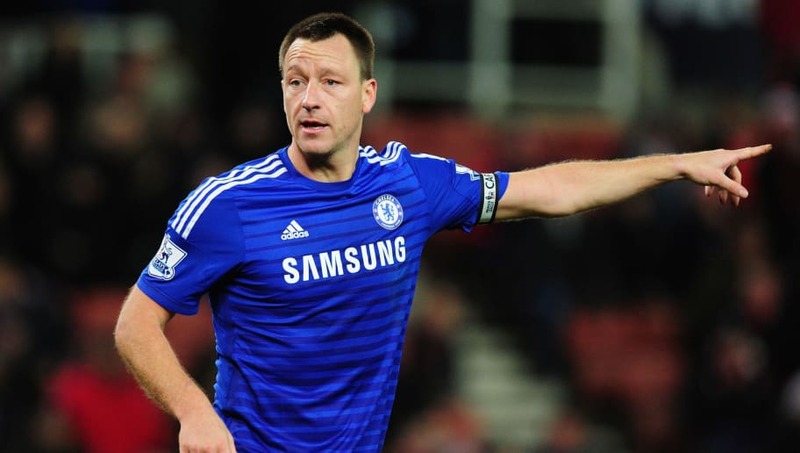 Terry's first season wearing the armband coincided with Jose Mourinho's arrival as manager and he lifted the first of four Premier League titles. He also lifted the Champions League in 2012, even though he was suspended for the final, and several domestic cups. 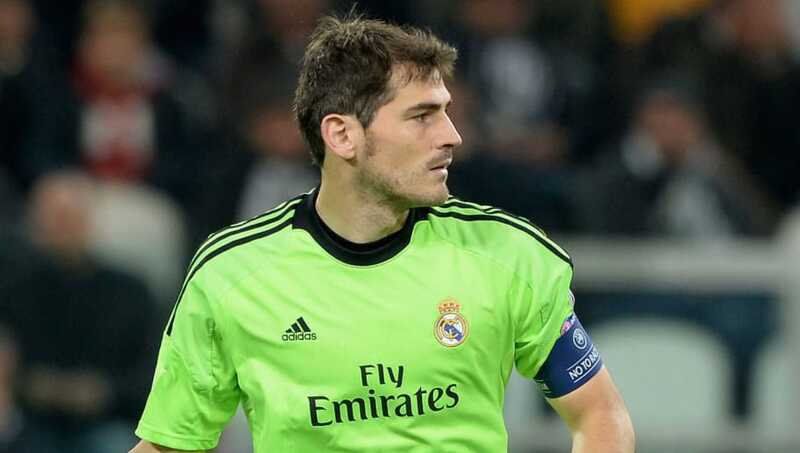 Goalkeeper Iker Casillas inherited the captain's armband at Real Madrid in 2010, having already been a first team regular for 11 seasons at that point, and a heavily decorated one at that. He had first joined Los Blancos in 1990 at the age of nine. Casillas was the Real captain who finally picked up the elusive Decima in the Champions League in 2014, while also lifting the 2011/12 La Liga title and the 2014 FIFA Club World Cup during his five-year reign as skipper. Raul was initially a youth prospect at Atletico Madrid, but city rivals Real were able to poach the 15-year-old in the early 1990s when controversial Atleti president Jesus Gil opted to close down the academy. Real promptly put the finishing touches on Raul and he debuted in 1994. His captaincy coincided with the emergence of the Galacticos era, but Raul ensured the club at least retained a home grown element among the marquee signings. In all, he lifted two La Liga titles as Real skipper, as well as a Spanish Super Cup. Philipp Lahm's first real taste of senior football came during a two-year loan spell at Stuttgart early in his career, but the Munich-born defender was Bayern through and through and would go on to enjoy incredible levels of success with his boyhood club. 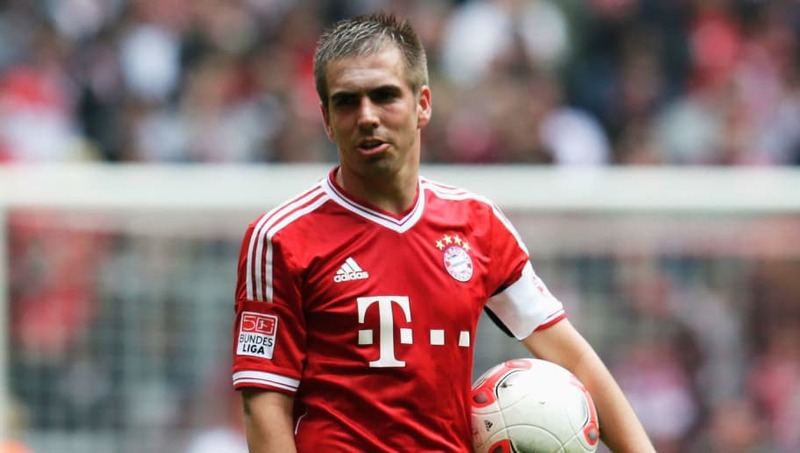 Having initially joined the club as a 12-year-old, Lahm became Bayern captain partway through the 2010/11 season and finished that campaign with his first Bundesliga title as captain. He was later skipper for the 2012/13 treble season, eventually retiring at the top in 2017. A true one-club man, Carles Puyol was made Barcelona captain in the summer of 2004 when Luis Enrique retired and saw great success as the club transitioned from one era to the next, winning back-to-back La Liga titles and the Champions League with an international squad. Puyol remained a crucial piece of the jigsaw under the management of Pep Guardiola as a senior member of a team filled with fellow La Masia graduates. He was skipper as the club won its first treble in 2008/09, adding a further Champions League title in 2010/11. AC Milan is in Paolo Maldini's blood. His father, Cesare, was a former European Cup winning captain with the club, and a 10-year-old Paolo first joined I Rossoneri junior ranks at the age of 10 in 1978, before himself becoming captain in 1997 after already 12 years in the first team. 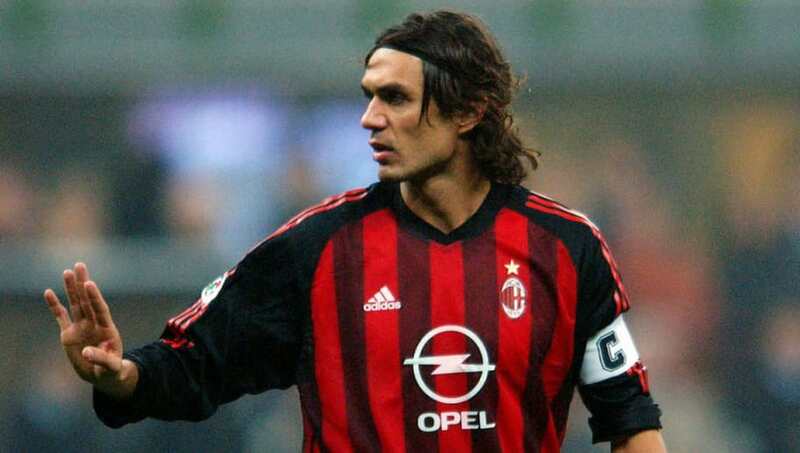 Maldini's first honour as Milan captain was the 1998/99 Serie A title, followed by two further domestic triumphs, a Coppa Italia and Champions League glory in 2002/03 and 2006/07. He eventually hung up his boots in 2009 after more than 900 games, over 400 as captain.